During a recent power outage in my neighborhood, my router, phone system, and broadband modem remained functional while I used them, checked with PGE, and then shutdown my equipment. 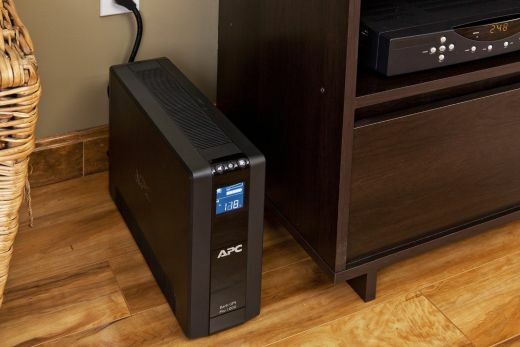 Over a year ago, I purchased an APC BGE70 Back-UPS device for $39 from Amazon. 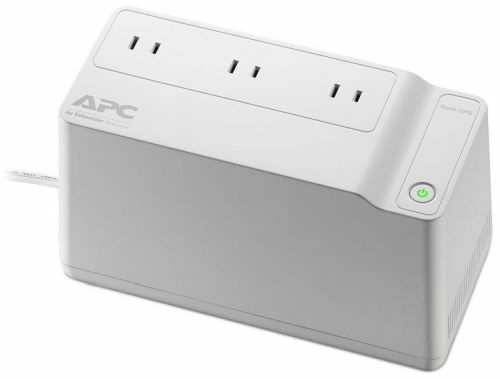 This is a backup battery and surge protector for very low power devices. Namely, my Ooma phone system, modem and router. All of them have 2 prong plugs and use very little electricity. I was able to keep my Internet connection up for over an hour which was more than enough for my purpose. This is a nice option for backing up your Internet and phone connections. The price varies considerably, and there are slight variations, so the link above goes to an Amazon search. The front light flashes while it is on battery, and a beep sounds, when the battery is close to running out of power. This is preferable to the annoying beep sounding continuously while you are working or trying to talk on the phone. Though my BGE70 is nice, and attractive, I'd get the newer BE425M if I were going to buy one today. The BE425M is a couple inches longer than mine, and $8 more, but is 6 times as powerful, has surge protection for 2 normal devices in addition to the surge and battery protection for your low powered devices. It will sound a beep when it is on battery, but can be silenced with a top facing button, so you can work in peace. It should be able to power your modem and router for 3-4 hours. Those backup batteries are not meant for computers. For computer protection, you need more power and I strongly recommend voltage regulation. The battery will need to run a monitor or two as well as a full computer. Voltage regulation will boost low voltage without needing to kick in the battery and dampen high voltage without needing to hit the surge. This regulates the voltage to within a smaller range and will keep your computer much happier. 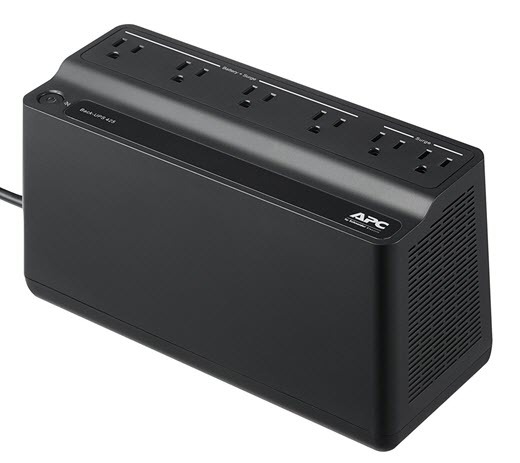 My normal recommendation for an office computer is the APC Back-UPS Pro 1000VA which will keep your computer running about an hour after the electricity goes out. It has outlets in the back to give surge protection to 4 devices plus surge and battery backup to 4 devices. Normally that would be a computer and a couple of monitors. This should keep them running at least 30 minutes and probably an hour. It comes with software that can shut your computer down when the battery is close to running out.